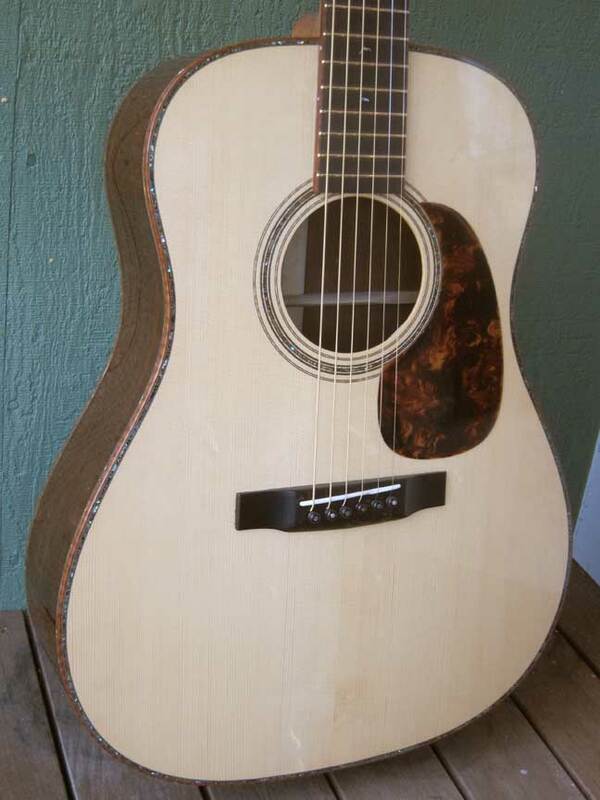 FT-15-D by Bruce Sexauer of Brazilian Rosewood and German Spruce. 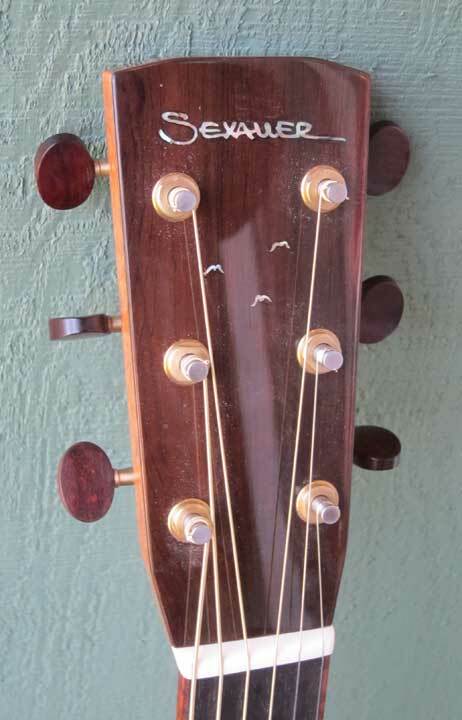 This comissioned guitar was delivered February 23, 2011. I had hoped to deliver it at the recent Larry Clyman/Bruce Sexauer concert at Schoenberg Guitars, but the customer couldn't make it, so I practiced my music instead. 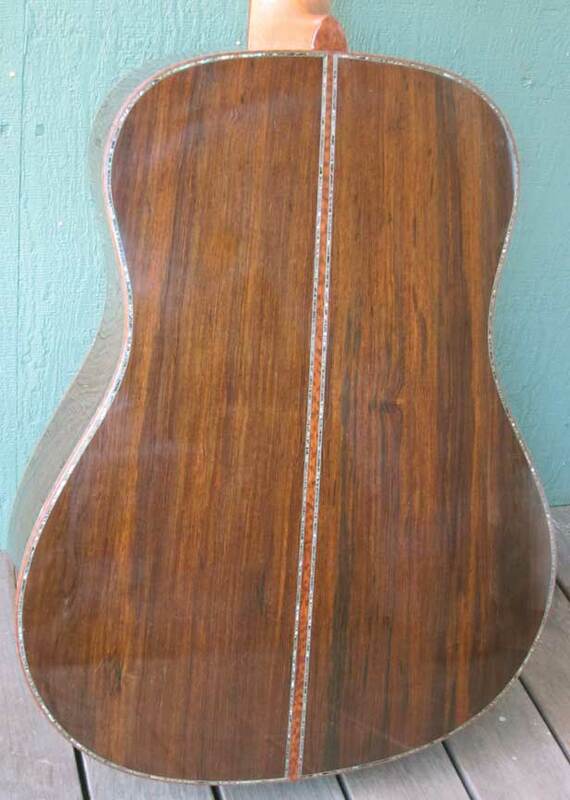 This instrument features my last (of 15) "Old German" Spruce top and a set of flitch matched Brazilian Rosewood, the best in my wood locker. 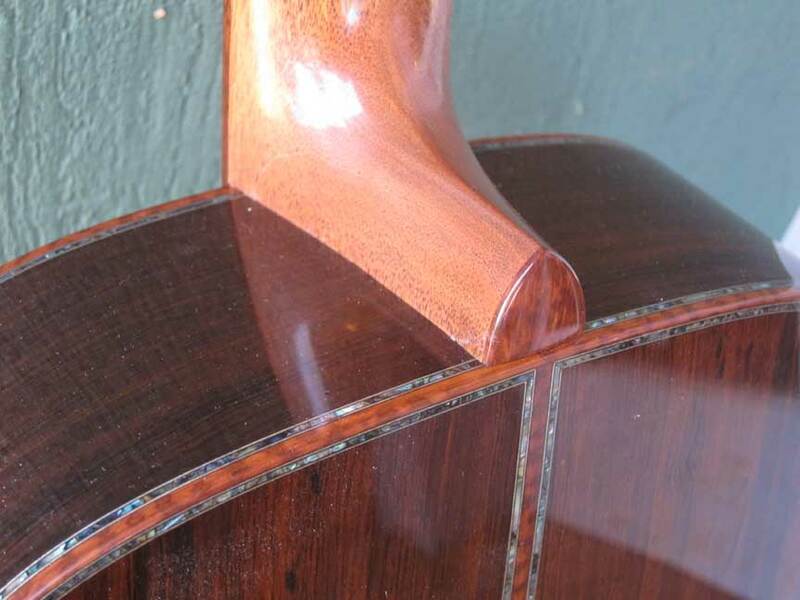 Snakewood binding over Abalone purfling throughout. MOP side dots and all othe inlays are Abalone. 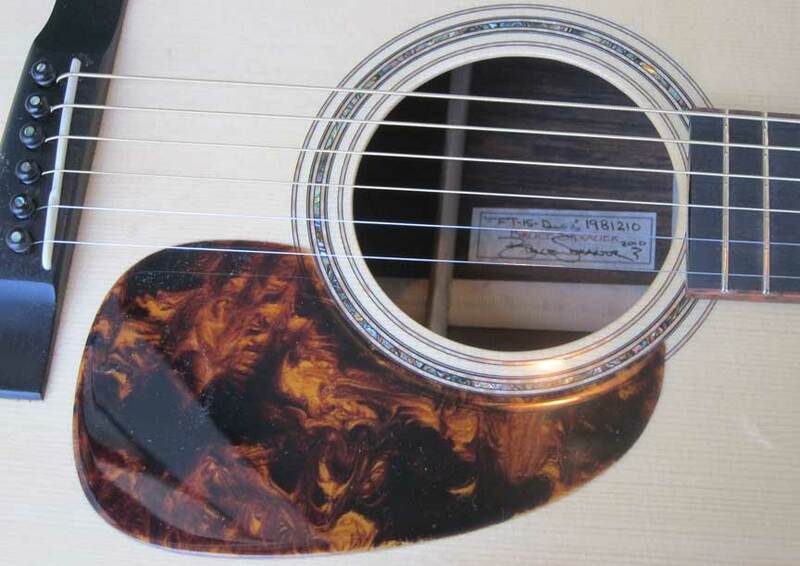 Best Ebony fingerboard and bridge. 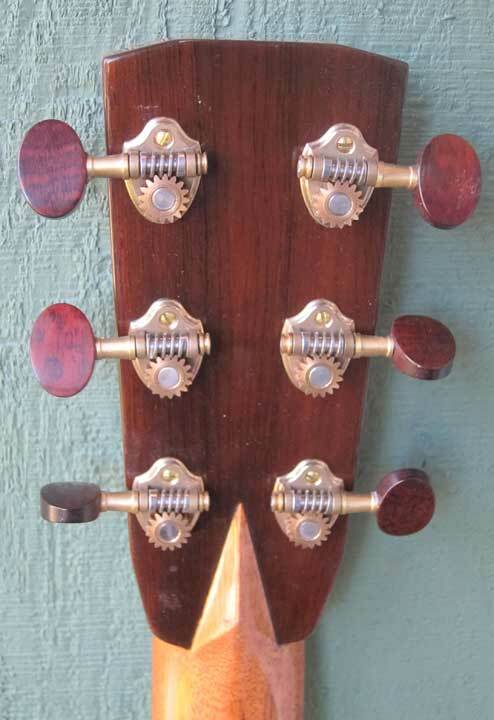 Brazilian head[plates from same wood as back and sides. Jeff Hoffee Carbon Fiber Case.